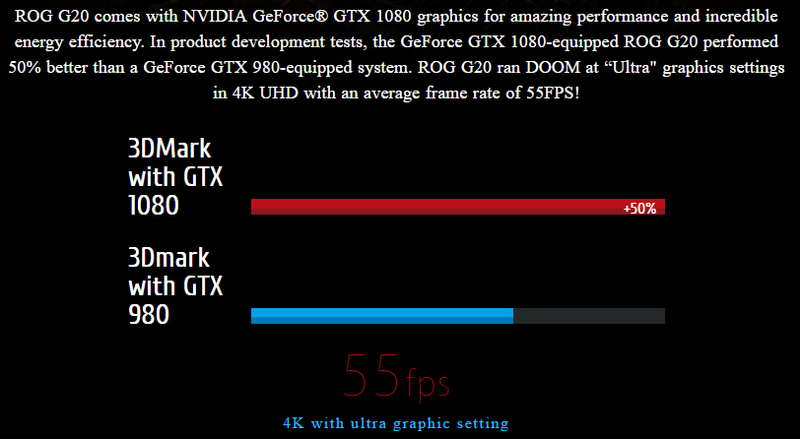 Gamers are very peculiar about their Rig/Gaming machine or laptop configurations for excellent game-play experience. 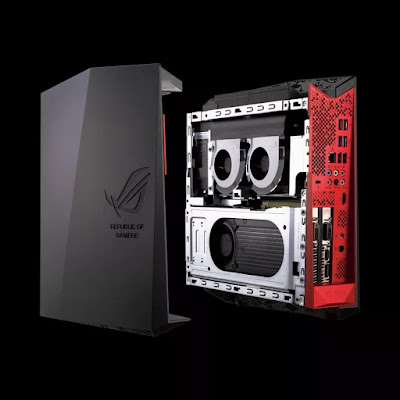 Where Asus is devoted their ROG (Republic Of Gamers), as name says devoted to those peculiar or starters who want to have excellent gameplay but do not have much insight about hardware part. So today we are going to share our review for Asus G20 which is one of the dreamliner for gamers. We can say large perk in small pack. After receiving quite a large size box when you unbox this gamer beast you will find small and heavy but very powerful Asus G20 CB inside along with dual chord power adapter, Asus mouse and keyboard. Asus G20CB has been a compact and powerful CPU design absolutely for gamers. 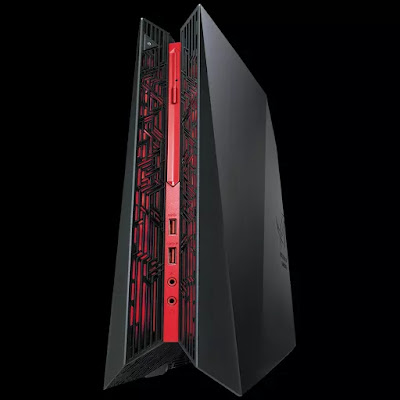 But it also have elegant design with illuminating light along with customized software, which allows gamers to customize color according to their choice and presences. Not only this but, when you left your PC idea it also show you breathing or pulse effect. 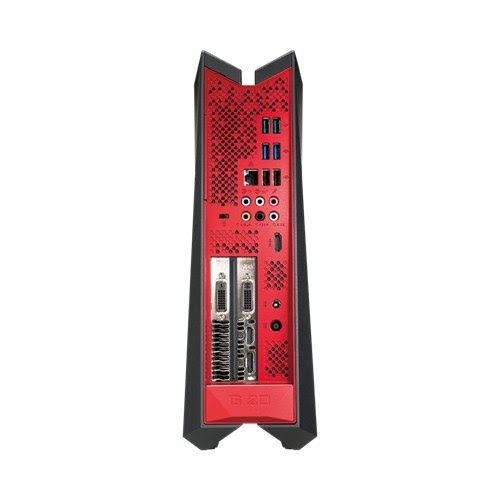 The black is accented by a mix of red plastic through the center of the case and LEDs, which shine through a stylist set of grilles, supposedly inspired by Mayan markings. When it comes to connectivity this device provide lot of flexibility in terms of connecting to different devices. Like for Monitor you have two options wither you can use VDI connector or HDMI cable. Even though the tower is compact but air management mechanism implemented effectively to cool down the system. As you can check in above picture, this tower have optical diskdrvie integrated vertically. Followed by two USB 3.0 port and microphone options. 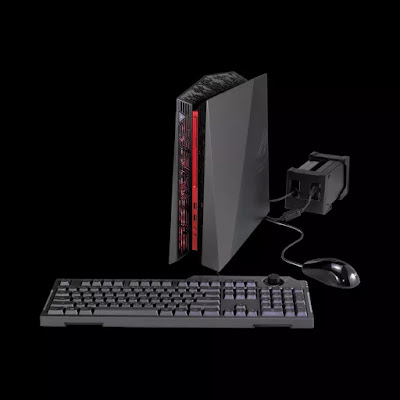 On the other hand on back side you have six additional USB ports (2x USB 3.1, 2x USB 3.0 and 2x USB 2.0), Ethernet (WiFi is also included), six 3.5mm audio jacks and three DisplayPort connectors, HDMI port and a DVI port on the graphics card.To enjoy VR experiences the G20CB is capable of supporting 1080p HD gaming, with most of the titles we tested running at a reliable 70fps to 120fps depending on the game.The resolution to 4K and you’ll start to hit some noticeable performance roadblocks, but at the very least it stays cooler and runs quieter.The 256GB Hynix SSD served its purpose offering fast boot times, and 3TB provide ample amount of storage place. G20CB comes with 6th generation Intel processor Core i7-6700. That discrete graphics card is a desktop-class model with one of NVIDIA's spanking new GeForce GTX 1080 GPUs. You could run multiple 4K monitors or a high-end VR headset. Along with most powerful latest NVIDIA GTX 1080 graphic card that can run Full HD and 4K games at their optimum setting laglessly. Not only this but it comes with 256GB of SSD inside which provide approx 7 sec boot time for us having lot of startup app linedup. 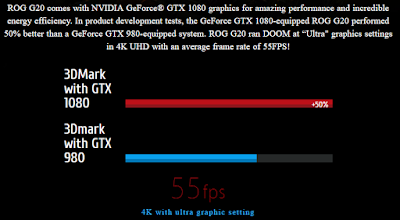 Check out below performance comparison of GTX 980 and GTX 1080. All this power package requires a custom cooling solution, and Asus promises that it has engineered to run cool and quiet. G20C has been incorporated with copper heatpipes multiple fans, and natural convection. Hot air is blown out the top and no vents on the sides. 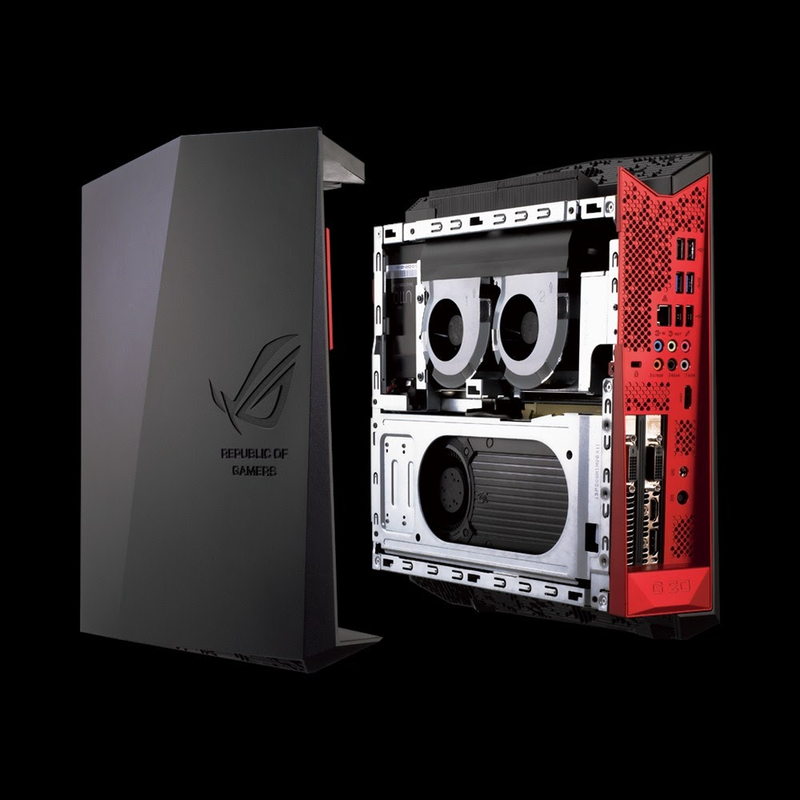 Asus has given on the strengths of its various divisions in for formation ROG G20CB. Even though Asus G20 provide compact tower with high performance but there are some factors that differ from gamer to gamer. Some prefer style, some prefer performance some prefer both and over and above all cost factor considered most. So if you love style with power packed performance at reasonable cost. Then this is your choice. Reliable Full HD and 4K Gaming along with VR experience. Compact and Stylish with elegant design. All latest chipset provide excellent performance. Competent placed internally are bit messy. Mouse and keyboard are bit inferior as compared to CPU. So final words cons are the things that can be easily overcome by gamers. 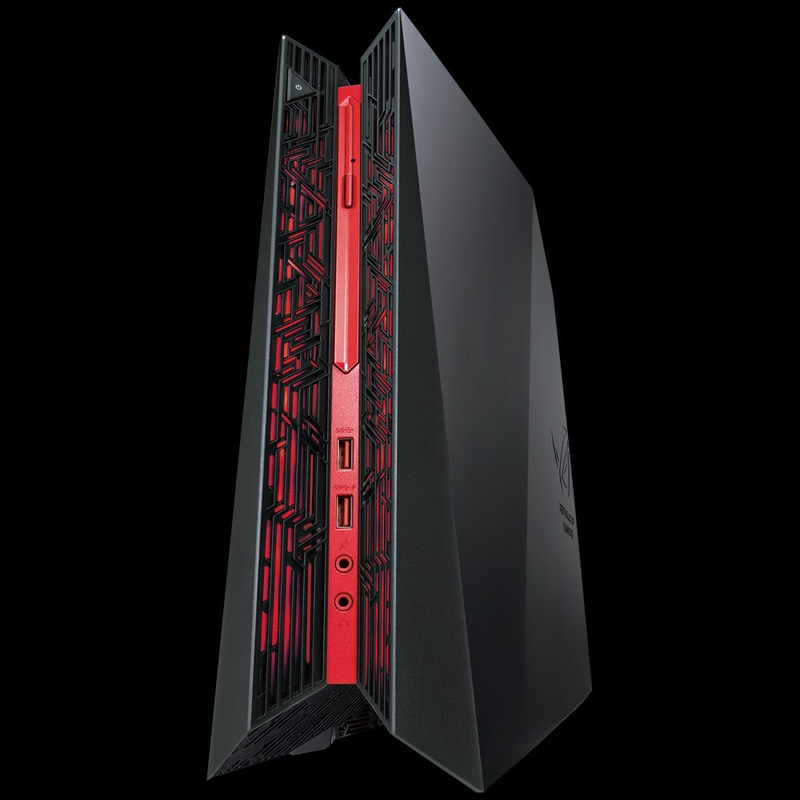 We find Asus ROG G20CB is one of the best performer that fits perfectly in their requirement. Stay tuned for more. Thank you for reading.